Frankly, my dear, I don’t give a damn …. and after one of these you won’t either. 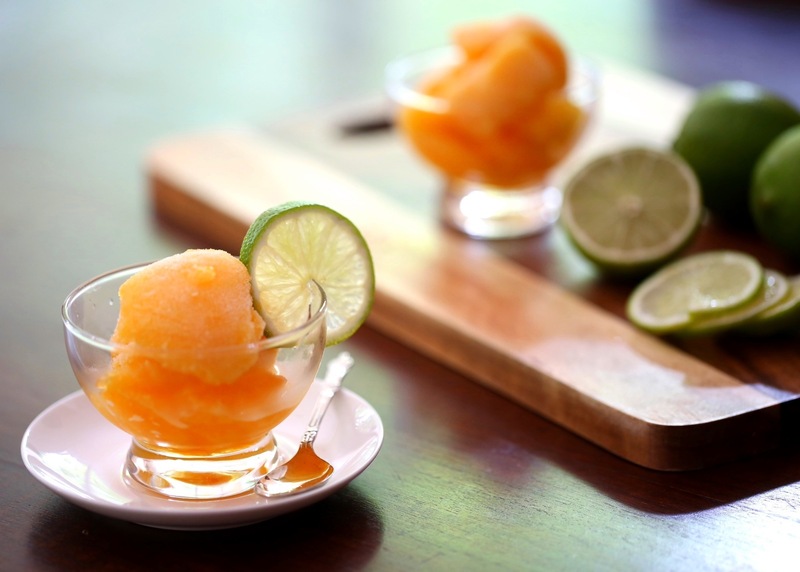 The Rhett Butler sorbet, inspired by the cocktail of the same name, is refreshing, delightfully boozy and the perfect way to end a long hot summer’s day. Since it is made from canned peaches you can enjoy it whenever you want to pretend it is summer. It will bring a little sunshine into your day. 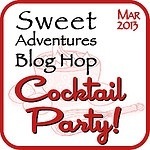 This dessert is part of the Sweet Adventures Blog Hop for March. This month’s theme, Cocktail Party, is exciting to me. I love cocktails but it’s been too long between drinks (pun intended). Having two small children increases my need for cocktails but reduces the opportunity to do so; it’s just one of life’s funny ironies! So join me in checking out all of the other fabulous bloggers participating in this month’s hop (click here) I am hoping to find a Pimms and Lemonade inspired treat as this is one of my other favourite drinks. Although this may be a little unlikely since it’s Pimms isn’t what you’d describe as “on trend”. What is your favourite cocktail? Blend all ingredients together using your favourite gadget (I used an immersion blender). Chill thoroughly. Churn in an ice cream maker. Place in the freezer to firm up. Serve with some orange segments (about 1/2 an orange per person) splashed with Cointreau (about 1tsp per person). Garnish with a slice of lime. *Simple Sugar syrup is simply equal parts of sugar and water boiled until thick and syrupy. I would recommend that you make a large batch and keep it at the ready in the fridge. It’s great to use in cold drinks, cocktails and for baking. Posted in Gelato, Ice-Cream & SorbetTagged Cointreau, dairy free, egg free, food, food photography, gluten free, Gone with the Wind, Limes, nut free, peaches, Rhett Butler, SABH, Southern Comfort, Sweet Adventures Blog Hop, vegan, vegetarianBookmark the permalink. Wow… really beautiful pictures! Love it! This post made me giggle – and that pic made me drool! I had a, bad experience, with Southern Comfort back in uni but that aside, I love the sound if this sorbet! Thanks for sharing it! Bad Southern Comfort experience at uni … oh yeah, I hear you! 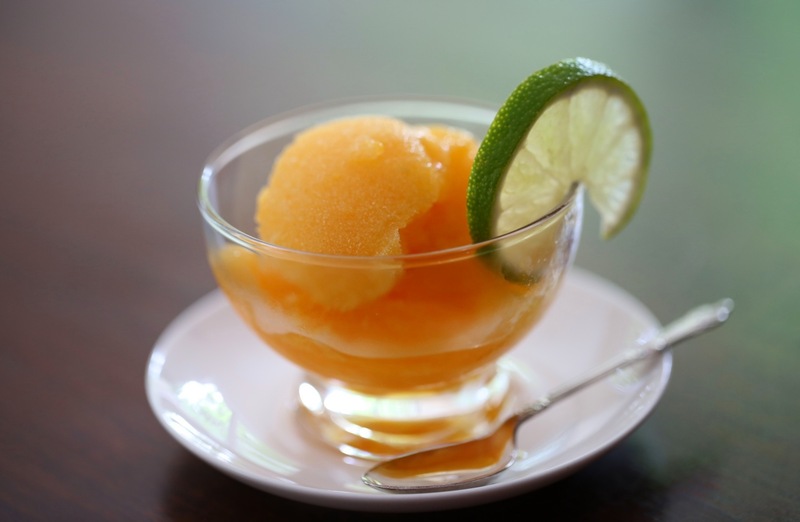 This sorbet might help you rediscover and appreciate Southern Comfort all over again. A therapeutic dessert! It’s a lovely sorbet and the Southern Comfort isn’t overpowering. I’m sure you’ll enjoy it. that looks really refreshing while still being boozy! yum! Slightly boozy is always best! This is gorgeous! It’s only just started getting warmer here, so I could definitely go for this! Thank you! I am lucky that I live somewhere warm so I can enjoy sorbets like this for most of the year.